We have successfully upgraded our Operating System with All latest updates.. Now we have now latest updated operating system with more reliable and improved service for you. Our service is live now. - Customer Support @ Screen-Magic. In our continuous effort to provide secure and reliable services to our Customers, Please be informed that Screen Magic Mobile Media will be performing Up-gradation/maintenance work during the period specified below which will affect outgoing and incoming SMS traffic. The most recent trend in app development has been "backend as a service." When it comes to an average developer to deliver support with server stacks and storage, data migration middleware managements, these services make possible things like authentication, push notifications, in-app purchases and other services that consumers take for granted. After Software as a Service (SaaS), Infrastructure as a Service (IaaS) or Platform as a Service (PaaS), "Backend as a Service" (BaaS) is the new trend. BaaS companies provide easily integrated cloud-based backends for mobile app developers. The drastic change in Data Accessing Methods and Usability has caused the BaaS ecosystem to evolve quickly from a niche vertical into an important industry segment. 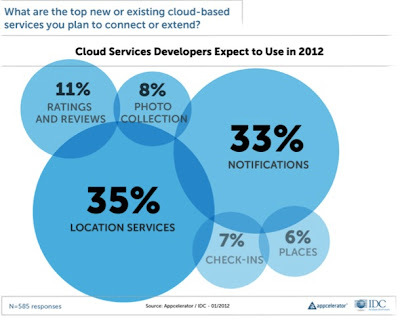 Lately termed as Heroku (PaaS) for Mobile Platforms, these BaaS platforms , like Heroku, enable mobile app developers pick and choose which backend services they want to integrate into their apps, which gives developer to focus on perfecting an app's user experience, its design and client-side code than worrying about Backend infrastructure. Stackmob, Parse, Kinvey, Apple's iCloud, RhoMobile, Appcelerator (Cocoafish), FeedHenry Astrum Space, Scotty App, Webmynd, YorAPI, CloudyRec, Applicasa, QuickBlox, mobDB, Netmera, Kumulos, CodeCloud.io, Sencha.io,Tiggzi and Zipline Games (through its Moai platform). There are also a couple of large companies that could move into this space very easily, including Amazon with its AWS products, Microsoft with its Azure Cloud, Google with App Engine, and Rackspace. And Appecelerator with its ACS (Appecelerator Cloud Services) taking Cocoafish has come up with titanium SDK 2.0 a BaaS system, that gives abilities to write apps, Objective-C (iOS), Java, PhoneGap, Sencha and HTML5 (among similar services) for native, hybrid or mobile Web deployment. The goal of each BaaS system is to provide basically the same set of functions to mobile developers. Yet some have broader goals while others focus on certain niches of the mobile development industry. For instance, iKnode calls itself a Backend as a Service provider, but it is designed specifically for .NET architecture, which will limit its broader appeal. CodeCloud.io is a hosted NodeJS and SQLite platform that gives it BaaS-like functionality but also provides a narrower scope. 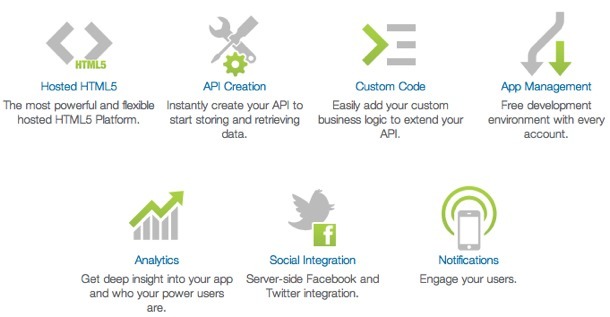 Parse supports both data persistence and push notifications through its REST API. The Providers should have atleast satisfactory aptitude in REST (Representational State Transfer) APIs management and implementation. Facebook/Twitter/Google Login support for User Profiles. Custom Data Objects and Space. Further, currently a Lot of start ups provide some of them (all of them provided by only some startups that too partially). The best of the best in the BaaS ecosystem do more than just provide certain functions, but also look to be an entire end-to-end cloud service that can make app developers' lives easier. The picture of future is still hazy as with advent of New App Age, the biggies in the business like said above may also get adamant to enter this market. With a great promise of growth, the Mergers and Acquisitions are very much foreseeable . The War Started by StackMob, is going to grow further and Bigger. Now what does a One Way communication Means? One-way communication is linear and limited because it occurs in a straight line from sender to receiver and serves to inform, persuade or command. "Alice does originate a communication; this is heard by Bob,answered by Bob and acknowledged by Alice"
So with Acknowledgement by Alice, the interaction completes a circle of communication. It means a medium that help complete the circle also help to engage the Communicating Entities. 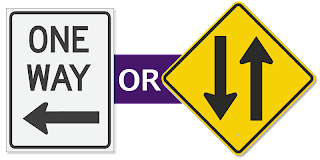 To summarize, Two-way communication always includes feedback from the receiver to the sender and lets the sender know the message has been received accurately.In two-way communication, communication is negotiated. Both sender and receiver listen to each other, gather information and are willing to make changes to work together in harmony. Their intent is to negotiate a mutually satisfactory situation. Interact with Customers - Feedback, Queries, Complaints, Product Reviews Etc. To read more about 2-way Mobile Marketing Campaigns, click here. We have successfully upgraded our servers. Now we have now latest updated softwares with more reliable service for you. Please be informed that Screen Magic Mobile Media will be performing Up-gradation/maintenance work during the period specified below which will affect outgoing and incoming SMS traffic. Messages will be queued during this period. Description: We are upgrading various system softwares for better performance.